Rent villas and apartments in Termini, Italy with private pools. Book affordable holiday rentals that are near a beach. Majestic villa, originally a 14th Century monastery, completely independent with a total area of 500 sq. m. hosting up to 12 persons in 6 double bedrooms, with 5 bathrooms and 3 small bathrooms. This 3 bedroom villa is located in Termini and sleeps 6 people. It has WiFi, a garden and barbeque facilities. The villa is near a beach. LA TERRAZZA SUI DUE GOLFI is a marvelous apartment on multiple floors with a view of the sea and the Isle of Capri. Panoramic apartment in the heart of the Sorrentine coast, with private garden equipped for enjoying your meals al fresco. CASA IL PETRALE is a classic single story villa located on the hill overlooking the village of Termini, offering a partial sea view. The home can accommodate up to 6 people. Verdemare is a typical country house, decorated with taste in the characteristic style of the Sorrento peninsula, with an outbuilding, holding up to 13 people with 6 double bedrooms. This 2 bedroom apartment with private pool is located in Termini and sleeps 6 people. It has WiFi, a garden and barbeque facilities. This 1 bedroom apartment with private pool is located in Termini and sleeps 4 people. It has WiFi, a garden and barbeque facilities. This 2 bedroom apartment with private pool is located in Termini and sleeps 4 people. It has WiFi, a garden and barbeque facilities. This 3 bedroom apartment with private pool is located in Termini and sleeps 8 people. It has a garden. 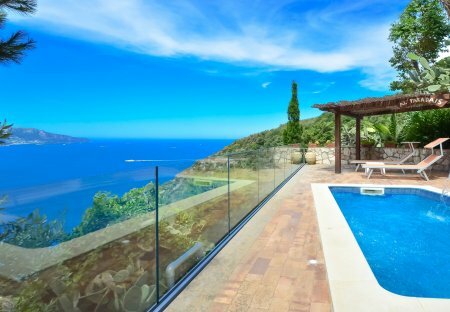 This 7 bedroom villa is located in Termini and sleeps 12 people. It has WiFi, barbeque facilities and parking nearby. This 1 bedroom apartment is located in Termini and sleeps 2 people. It has WiFi, parking nearby and air conditioning. This 1 bedroom apartment is located in Massa Lubrense and sleeps 3 people. It has WiFi, barbeque facilities and air conditioning.